"User-friendly EMR that is widely used "
After using a couple of different EMRs, something I miss the most about Epic is the search function. I’ve used this multiple times to try to find important information about patients diagnoses and workup, and the search function found the information I needed in 5 seconds rather than the 20 minutes it would take to manually look through every note. I also love the mobile app which lets me take pictures of either physical exam findings or documents to automatically upload into a patients chart— very helpful for dermatologic findings or consents! There’s really nothing I disliked about epic. I found it much easier to use than the EMR I primarily use now. I am more efficient on epic, I can find the information I need quicker. I can easily upload photographs into a chart. Not compatible with all business data models so new models must be built to download the data you need. "Perfect for Health Care professions "
I like that this isn't job-specific. Any healthcare provider can use this program to help with their data functions. My job isn't specifically health-care related, but we do offer services that require the need for this program. The fact that it's easy to use and there when I need it is really helpful. Can't say much about disliking it. My company provides mental health services so this is perfect for us. Keep up the great work! This program is super easy to use, and makes my job very easy. Data Entry issues. Easy to use and navigate for those who may not be tech-friendly. I use it to schedule appointments and register billing information for patients at my hospital- I like that it streamlines this process by synchronizing appointments and patient information from across different clinical softwares. I like that there are thousands of ways to analyze the data. 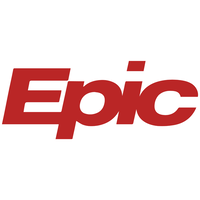 Epic’s data model is highly complex and the learning curve is really intense. Cogito includes everything related to Epic reporting and analytics in business. I like that it is user friendly and easily accessible. IT PROVIDES EASY ACCESSIBILITY FOR ONLY OUR STAFF BUT OUR CLIENTS AS WELL. "Epic cogito and population health analytics"
I like that it is helping me report on my analysis. Cogito enables me to integers epic data with other external data for reporting and analyzing my findings along with options of inclusion and exclusion as needed. I dislike the fact that I can do more with the system but I haven’t yet mastered how to get there yet. Easy to use, very user friendly and simple. By far one of the easiest programs I have used. The price point is high compared to its competitors but you pay for quality. Highly recommended, an effective program. providing a platform for clinicians to complete documentation. Epic interface is very user friendly and easy to navigate. Training modules could be improved upon -- some areas were a little unclear. I am able to perform the necessary functions of my job, and it makes the process easier. This product is not very user-friendly. I find the reports that can be generated to be useful in data analysis. The dashboard can be difficult to navigate. Epic Cogito is useful for organizing health data. "Satisfied user would recommend "
* We monitor all Epic Cogito reviews to prevent fraudulent reviews and keep review quality high. We do not post reviews by company employees or direct competitors. Validated reviews require the user to submit a screenshot of the product containing their user ID, in order to verify a user is an actual user of the product. Hi there! Are you looking to implement a solution like Epic Cogito?